I don't normally spend a lot of time on my hair of late as I'm trying to make it healthier after a hot summer under the sun coupled with blow drying and using a hair straightener. My hair is easily damaged as well due to repeat coloring so it's a must I have something of high quality to use on my hair. 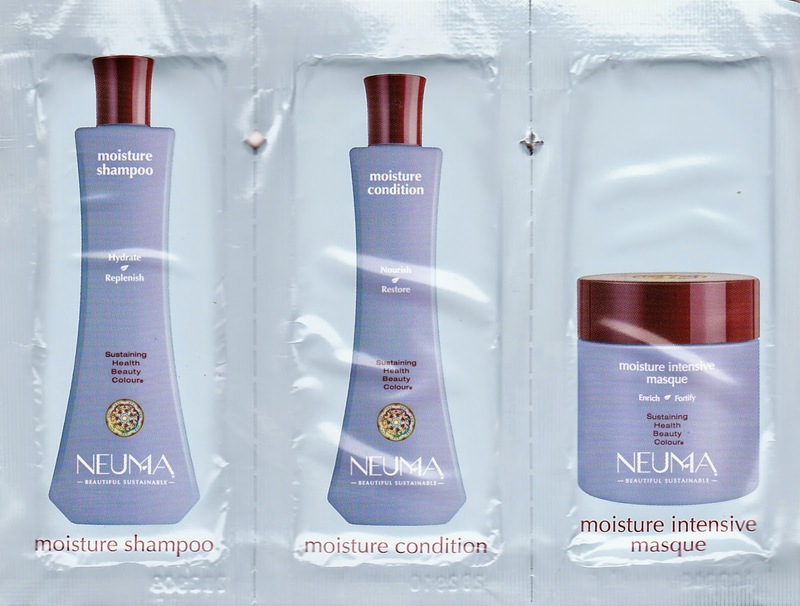 I tried the Neuma Moisture Shampoo, Conditioner & Intensive Masque sample packet and did like how my hair felt but unfortunately, being a sample, I cannot provide long term input as my hair requires a lot of conditioner and I had to use the whole pack on my hair one time. The fragrance was nice and I liked how it rinsed out without having to keep running water over my hair like many other. Overall, I would have to try it longer term to really get a good feel for the product. I did like how my hair felt and looked after the first use. Organic raw materials, sustainable business practices and continuing membership as a global corporate citizen will make the difference in the long run.